I simply adore live theatre. I attend at every chance I get. Recently I attended "Saturday Night, Sunday Morning" at The Lyric Stage here in Boston. The whole play was set in a beauty shop of all black women called "Mary's Press and Curl." It was 1945, just before World War II ended. The woman, Mary, lost her husband early on in the war. 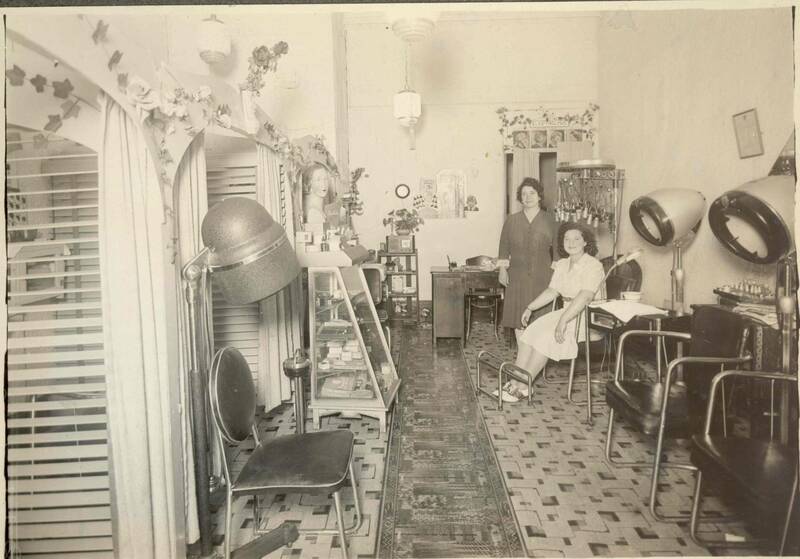 She decided to turn her big house into a boarding house for women and turned another room into her beauty shop. The camaraderie of the women as they gathered together with their customers was very touching. Of course each day was a different scenario, however filled with compassion and understanding. They would console the gals in many ways who wondered if their men were coming home to them or if they were even still alive. Remember it was World War II and letters, if any, were far and few between. The men who did return presented another set of problems. The gossip of everyone's business held seat front and center as always in a gathering of women. Yet there was always a sympathetic ear. The shop was a place to vent and break down revealing their feelings. The shop was a place to fantasize and dream of what life will be like in their future. Wishing for better days and also perfect hair. Many experimental hair straightening solutions failed leaving girls vulnerable to ridicule and running to Woolworth's wig department! The shop acted as a refuge to hide from the problems made by the war. It was a place of comfort and sharing. The memories of my Mom and Nana's Beauty Shoppe came flooding back as reminiscent times told by my Mom so long ago. The familiar "tools of the trade" from the era in the play were very much alike as well. Including the scenarios that women pull through by expressing their inner thoughts to hear advice or a kind word. It got me thinking -- the beauty shoppe was more than just a place to get your hair done. Beauty and wisdom all do lie in the menu of services in a Beauty Shoppe.